He was referring to the new educational technology that can provide seminary-level courses, translated and culturally contextualized in French, to West African indigenous leaders using cell phones, tablets, and computers–without access to the internet or cell service. Do you realize that you would not have been able to do this even ten years ago? I do realize how amazing this is and how this is causing far greater change in our world than the printing press. 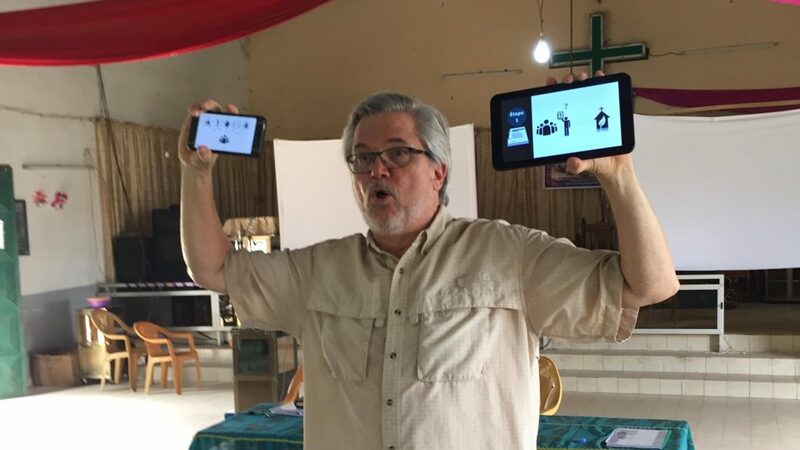 I’m humbled and honored to be a small part of what many are calling an educational revolution in how the next generation of church leaders will be trained–especially in the developing world where most Christians live today. Thomas Friedman wrote, “Big breakthroughs happen when what is suddenly possible meets what is desperately necessary.” We’ve known for a long time that it is desperately necessary to bring practical, seminary-level education to church leaders who have no access to it. 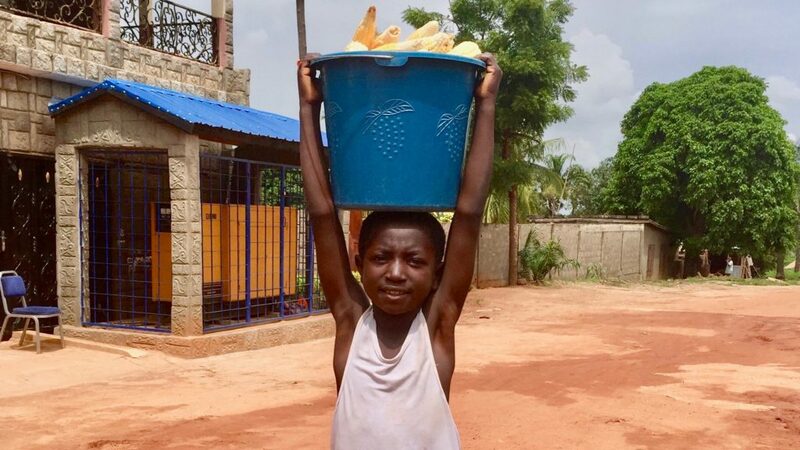 What is suddenly possible, due to recent advances in technology and education, is a global revolution in learning that is enabling almost universal access to high-quality education. Pathway Learning is applying this same breakthrough in learning to help meet the needs of underserved church leaders around the world. For the first time in history we can successfully provide affordable, seminary education for church leaders in their language and contextualized to their culture. With your support, Pathway Learning is opening a door never before available to underserved church leaders–the opportunity to receive the training and tools they need to develop churches that transform lives and communities. For most church leaders around the world, a high quality, seminary level education is out of reach. 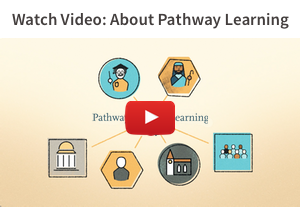 Pathway Learning has developed an innovative online and onsite learning platform that can bring practical, high-quality, seminary-level education to leaders where they live, in their language, and adapted to their culture. Pathway Learning is opening a door never before available to underserved church leaders–the opportunity to receive the seminary-level training and tools they need to develop churches that transform lives and communities. 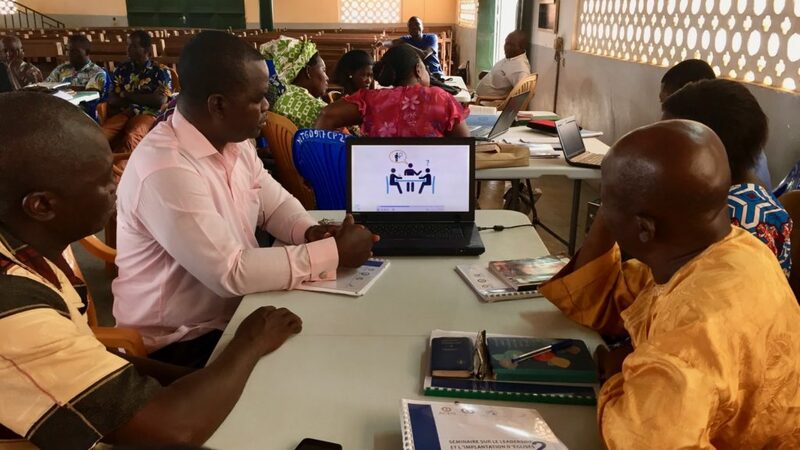 This year we launched new courses for underserved church leaders in West Africa, China (persecuted church), Japan, Western Europe (Italy), and North America. And we’re looking for partners to help us bring this solution to thousands more. Come join us and help change the world. PS: Your support makes all this possible. Together we can continue providing underserved church leaders the education and practical tools they need to transform lives and communities around the world in 2018. To donate, Click Here. Saturday, May 12, was the 10th anniversary of China’s deadly earthquake that took the lives of more than 70,000 people when whole towns and villages were crushed in China’s Sichuan province. So this was a time of renewed mourning for hundreds of thousands who lost family and friends. 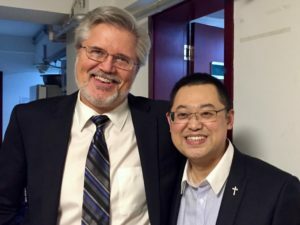 But it was also marked by escalating levels of persecution by the Chinese government against the church–including the arrest and detainment of my friend and partner in the gospel, pastor Wang Yi. He was planning to have a memorial service at his church, Early Rain Covenant Church on Saturday morning in Chengdu, the capital of the Sichuan province. 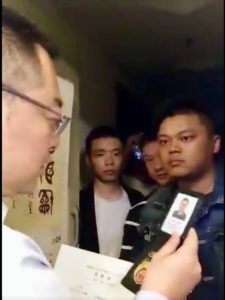 But on Friday night, police detained Wang Yi and the head of their Christian college for about 24 hours, until Saturday night. The charge against him by the police was “picking quarrels and provoking trouble” –often used now to silence any dissent against the Chinese government. The Communist Party was concerned that any public gatherings on Saturday might rekindle widespread angry questions about why so many new buildings, including new schools, collapsed in the earthquake killing thousands of adults and children. Instead, the Chinese government was using the date to praise China’s rapid reconstruction of the devastated towns and villages. 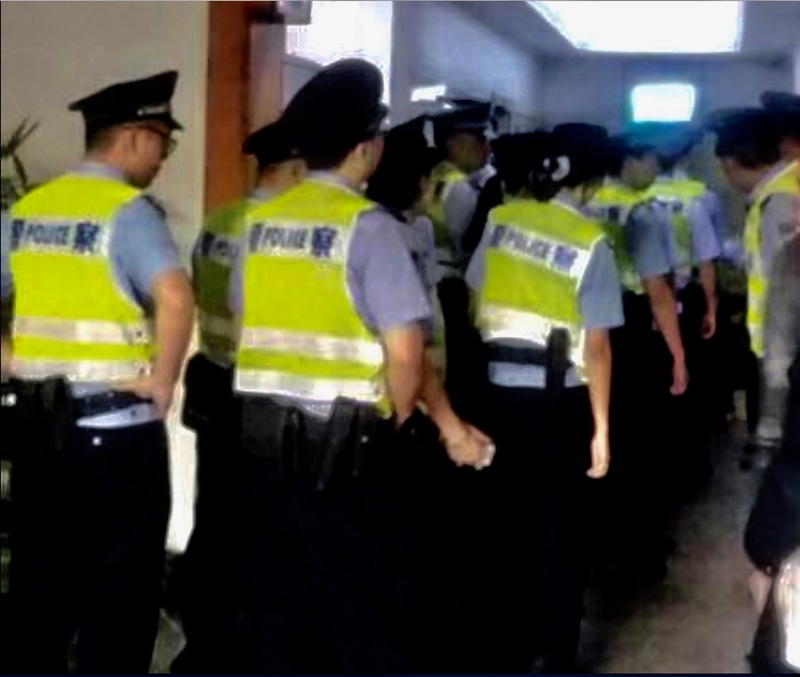 On Saturday morning more than 50 police returned to arrest and take away more than 200 people, including college students and children, who arrived for the memorial service. The people were taken in buses to several police stations around the city. The police also raided their church and school to remove Christian books (estimated 50,000 books) from their library and documents from their offices. After loading everything in boxes they took them away in large trucks. Persecution is not new to Wang Yi, who is also a highly respected intellectual and human rights lawyer—with articles about him in New York Times, Atlantic Monthly, World Magazine, etc. He has been an outspoken advocate for human rights, including freedom of religion and freedom of assembly. So, he has had many run-ins with Chinese government officials. 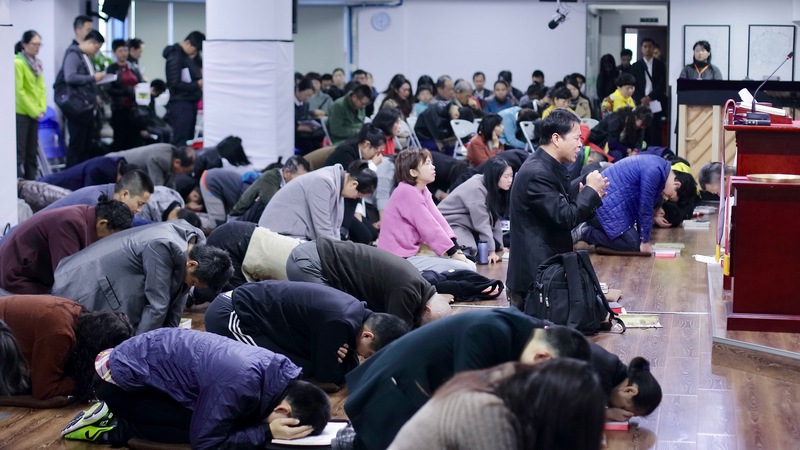 Members of Early Rain Covenant Church in China assemble for worship and prayer. Jesus said, “Blessed are those who are persecuted for righteousness’ sake, for theirs is the kingdom of heaven. Blessed are you when others revile you and persecute you and utter all kinds of evil against you falsely on my account. Rejoice and be glad, for your reward is great in heaven, for so they persecuted the prophets who were before you (Matt 5:10-12). The apostle Paul reminds us how we should see such suffering of other Christians, when he writes: “If one member suffers, all suffer together (1 Cor 12:26a).” So, please pass on this prayer request to others. Thank you for your continued prayers for our dear brothers and sisters being persecuted in China. 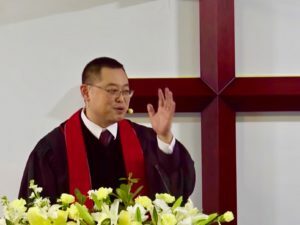 PS: Here’s the link again to the New York Times story on this yesterday: https://www.nytimes.com/2018/05/12/world/asia/china-pastor-detained-sichuan-earthquake.html And you can read more about Pastor Wang Yi and other key leaders in the underground (unregistered) church movement in China in Ian Johnson’s book, The Souls of China: The Return of Religion After Mao. The final step in resolving all conflicts is to forgive those who sin against you and be reconciled as far as it depends on you. How can I truly forgive someone? It’s been said that to be reconciled means to replace hostility and separation with peace and friendship. The personal offenses that separate you from another person must be laid to rest through your confession and your forgiveness. This 6-part series addresses the leader’s need to prevent and manage conflict in a way that loves people and honors God. How do I understand conflict? How do I redeem conflict? How do I engage conflict? How do I own conflict? How do I reconcile conflict? This brief video (3:58) will help you answer the question, “How do I reconcile conflict?” and think through what the answers mean for your life. Take Pathway’s New Course on Conflict Management Today!